UPDATE (11/22, 6:16pm): As it turns out, the Assassin’s Creed Ezio Collection isn’t quite the disaster that this video made it seem. 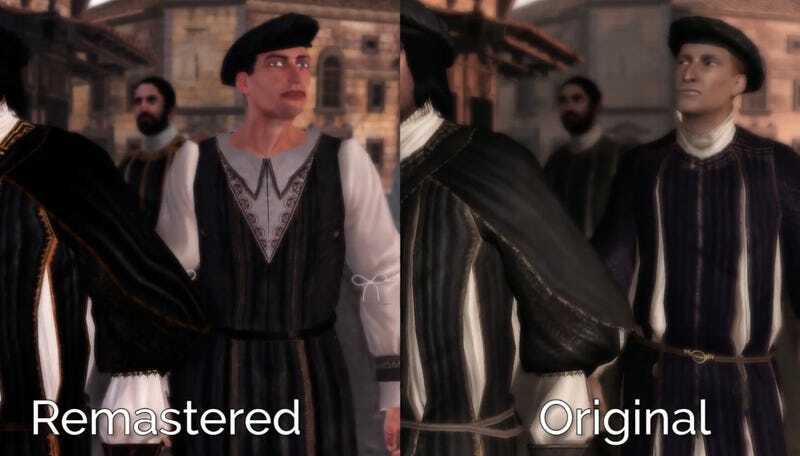 Turns out the animation glitch was also in the original version of Assassin’s Creed II, and the deformed NPC was randomly generated. (Still hilarious, though.) More info here. Assassin’s Creed 2 has been remastered for the Xbox One. It should not have been. Polygon capped this video of the new version in action, and it has some...changes. Maybe that NPC isn’t a technical error. Maybe it’s an artistic choice.